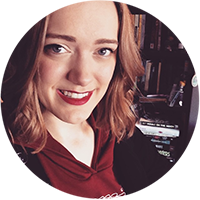 8 New Games I Learned on Tabletop Day - Hello, Kristina! We can only play new games. I assumed this meant we would spend the day learning two or three, then spend the rest of the time hanging out, meeting people, making videos, etc. This is not what happened. What happened was that over the course of the day, across two different game stores and an attached bar, I learn EIGHT NEW GAMES. I still can’t believe it. And the best part was – I actually really enjoyed every single new game I learned! So for this blog post, I’m going to very briefly summarize and review the games in case you want to try them out for yourself. This game was awesome, and an absurdly simple game to start the day off with. 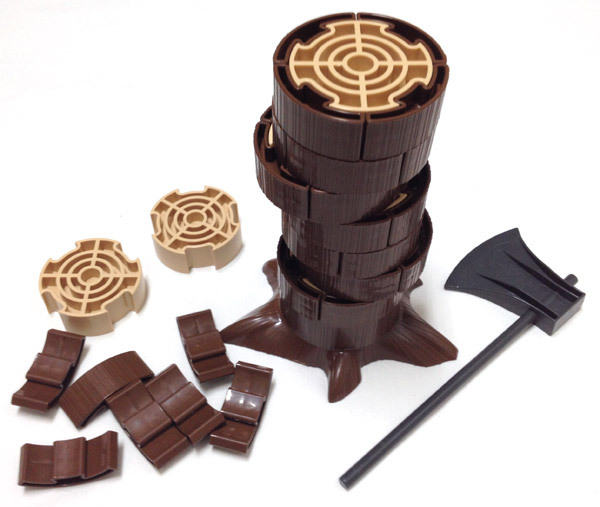 It was explained to me as “reverse Jenga”, where you use the above hatchet to attempt to only remove the bark from the tree (which, really, seems like ineffective logging to me). The bark gains you points, but the inner circles (the tree’s guts) lose you 5 points if you accidentally knock them down. It was a silly, fun, and a good ice breaker. I played mostly with complete strangers. This was a hand management style card game based on a graphic novel I haven’t read, but it looked awesome. 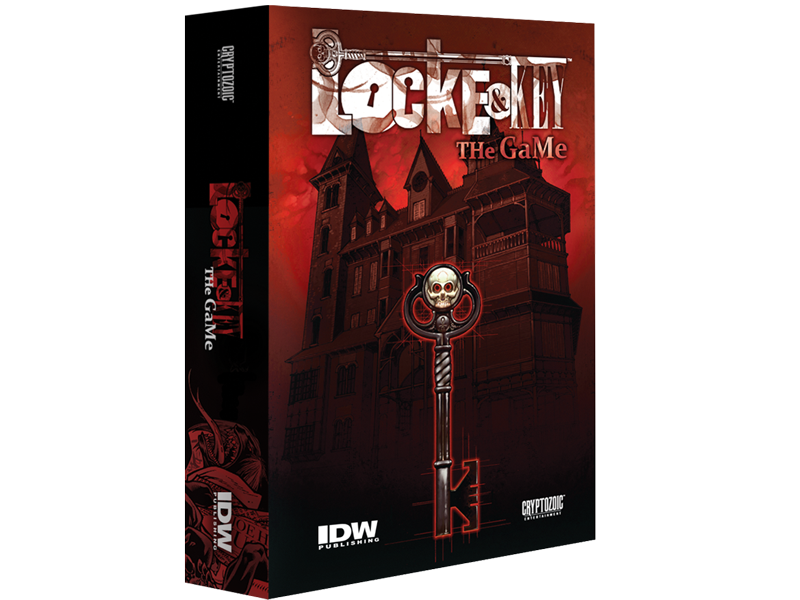 You work with the other players to face “horrors” and collect keys that give you special abilities to open new gameplay options as the game goes on. I’ve played a few of these style games recently, and I think this one is my current favorite. It made me want to check out the graphic novel, so it’s doing something right! I LOVED this game. 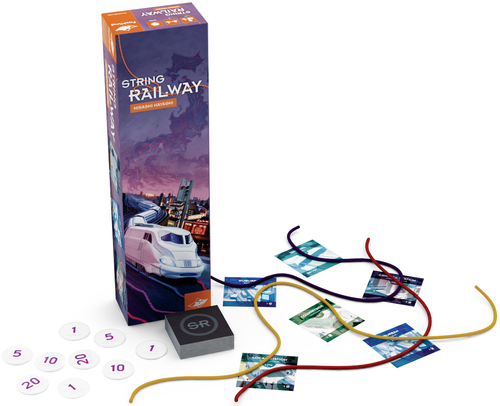 I’ve never played anything like it before – the game consists of a bunch of pieces of different colored string, and you place them down on a map according to various “train station” cards you draw at the start of your turn. It sounds simple but gets impressively complicated as your world map fills up with string-trains. I think this was my favorite game of the day. This game was much more fun than I ever imagined it could be. 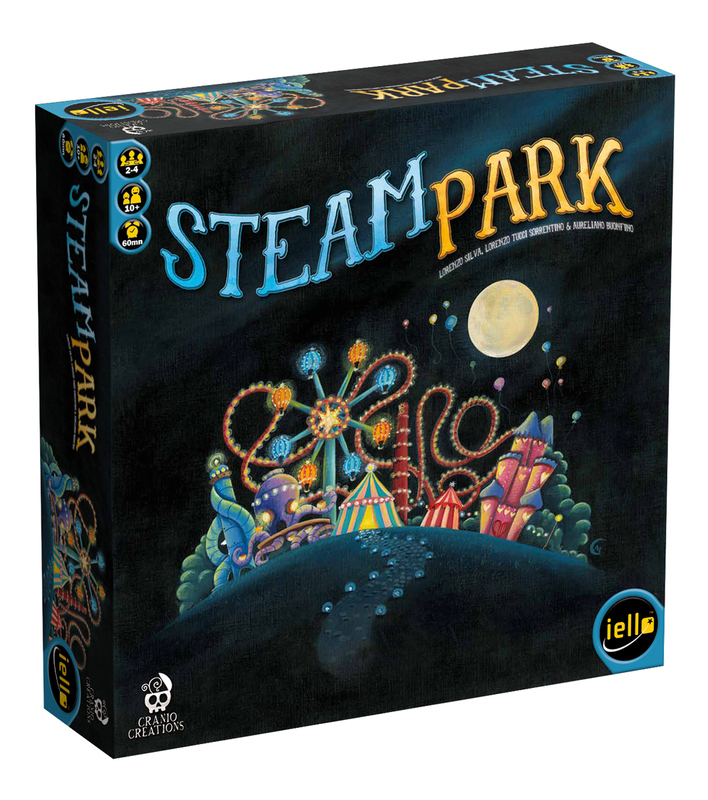 I saw something about it online a few weeks ago, and read that it was “if Roller Coaster Tycoon was a board game”. That game was my jam as a kid, so I was totally on board for this. The premise is that you’re building a theme park for robots and you have to clear away the dust that accumulates as you’re building things. The art was adorable, it was a quick learn, and I’m hugely excited to add this to my personal game collection. This is a game that a few of my friends and I kickstarted together a few months ago, and it’s not out yet. This was actually the first demo of the game ever, which is a big reason we chose Card Kingdom as our game store of choice for most of Tabletop Day. It’s a wild west, dice rolling dungeon crawl made by the same people who made Last Night on Earth, another favorite of mine. The game is huge – there are tons of miniatures that go along with it, the game board pieces are amazing and I really love that every character you can play comes in male and female. We demoed the game with one of the creators, which was a crazy awesome experience, though some of the cards were still hand-drawn. It kind of added to the thrill of playing it early! I can’t wait until this game is out for real and I can play at home. After our Shadows of Brimstone demo (which took quite a long time) Joe and I packed up and headed over to Uncle’s Games in Bellevue for a change of scenery. 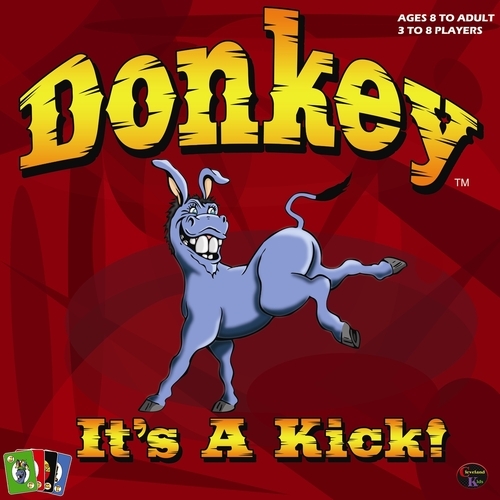 Immediately we were pulled into a game of “Donkey”, a musical chairs or spoons inspired card game where you had to grab the puck in the middle as fast as you could when certain things happened on the cards in your hand. I’m particularly good at these sorts of games, so I had a blast with it. This is a game that was set up behind up on a demo table, right outside the children’s games section. This game is meant for kids, but I had a really great time playing. 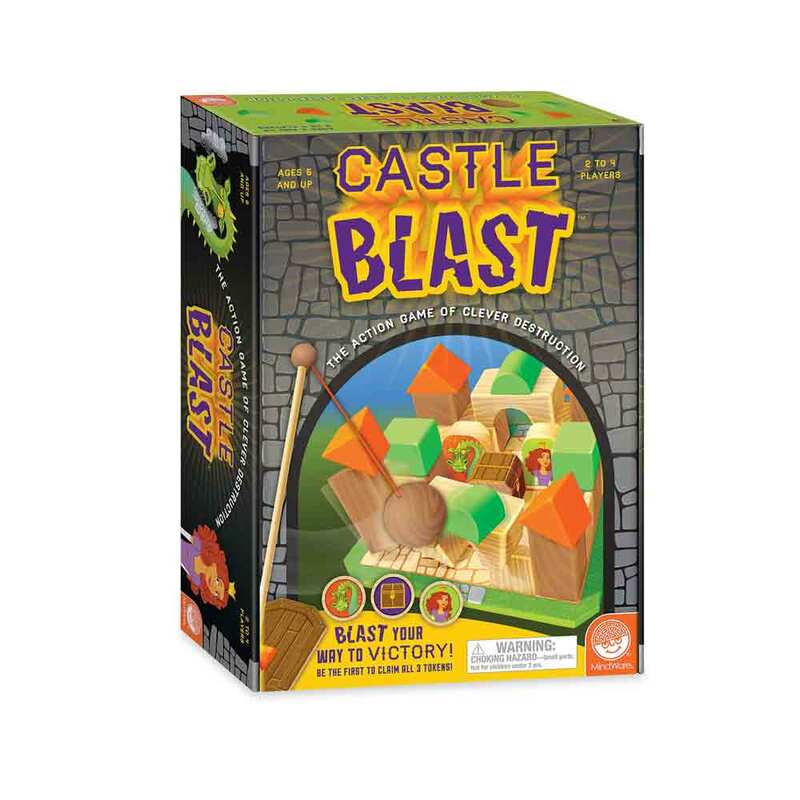 You set up a castle made of blocks and then use the included wrecking ball to knock it down to steal a princess, dragon and treasure chest from inside. It was cute, and surprisingly difficult. At this point in the night I was ready to call it and go home to my warm snuggly bed (playing games all day really takes it out of you!) but Joe convinced me to try one last game. 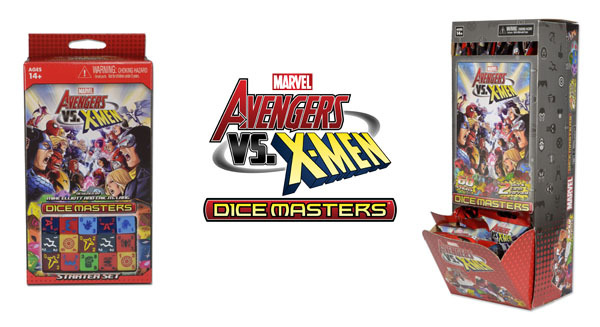 I’m super glad I did, because Dice Masters was fantastic. Imagine a deck-building game, but instead of cards you’re using dice. And all the characters and abilities are from the Marvel universe. It was easy enough to learn, and while the game isn’t quite out yet (it comes out next month), I heard it’s going to be dirt cheap, which is nice for a game that encourages buying more dice to build your ideal “deck”. Looking forward to it! Did you learn any new games for Tabletop Day, or did you stick to old favorites? What was your favorite game of the day? Let me know in the comments! YouTube Video: Reasons It’s Cool to Be a Hufflepuff! Steam Park and the Dice Masters games look awesome ! Definitely checking those out when I can. I demo’d Formula D, played some Call of Cthulhu, and tried a wargaming game called Pirates. But the biggest hit was a game from the 80s called “The Omega Virus” and HOLY BALLS WAS IT AWESOME!!!!! Look it up if you can, but if you want a copy, I hope you have about $500 to spend. I’ve never been to Tabletop Day. Is it on April 7th every year?